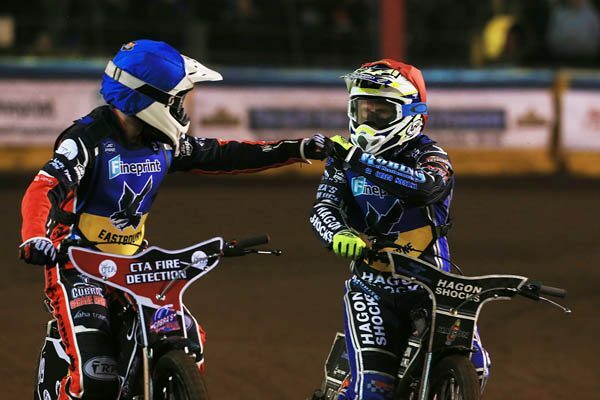 Eastbourne Speedway made a winning return to professional speedway – both on and off the track. 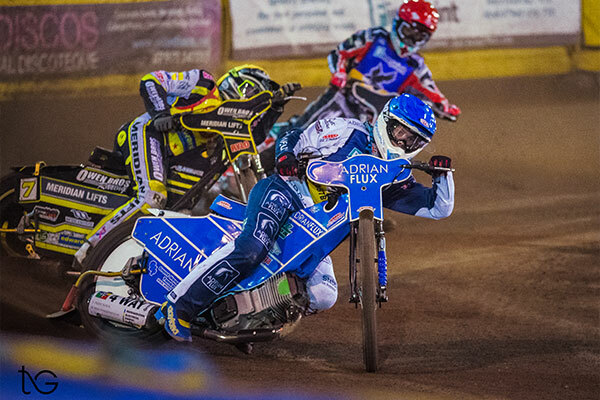 The riders scored a 52-38 victory over Birmingham Brummies in the Championship Shield but there was plenty of success too for the off-track team. 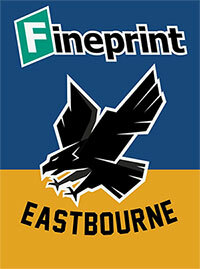 A four-figure crowd and plenty of positive comments from supporters was a huge encouragement for the Fineprint Eagles management team. “I am absolutely delighted with the crowd. “We knew that we may be affected by the FA Cup semi-final [Brighton and Hove Albion playing Manchester City at Wembley] but we had a crowd of over four figures which was beyond our expectations. Mr Jordan was pleased with the presentation but promised every attempt would be made to get even better. “Because it was an unusual start time (8pm), you look at your watch and everything slips a little bit. “A couple of our turnstile workers went to the football, understandably, so we were a little bit light in terms of turnstiles. 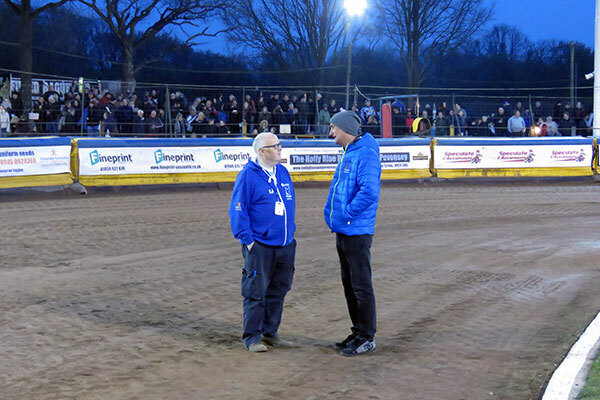 “There was quite a crowd outside at 7.30 so Jon [Cook, the director of speedway] and myself went and apologised. “We did hold the parade back about ten minutes because of that. “It will be slicker next week, when we are back to our normal start time of 7.30pm,” he said. Mr Jordan said many old faces were back on the terraces and people were coming up to him and saying they were back after a few years. “It really is the tip of the iceberg. “I have been in Eastbourne all week, speaking to people, going to places and I actually think we can make this a speedway town, like it used to be,” Mr Jordan said. Fans are reminded that no video, zoom or close range photography is permitted at Eastbourne Speedway, except by those with prior accreditation from the BSPA and/or the Promoter. The Promoter reserves the right to exclude anyone not complying with this Policy. This includes all forms of filming and also streaming, live or retrospectively on any form of Social Media or public platform, that do not have the required Consents. If anyone is found to be in breach of this Regulation they may be excluded from The Stadium and subject to legal action. If you feel you have a legitimate reason to film or video, please Contact us for the necessary Promoter accreditation. The Eagles want everyone to be able to take pictures before and after racing for their own use and enjoyment, and the club don’t want to dampen the fun and enthusiasm of anyone, but we have to abide by the Rules laid down by the BSPA, and do not wish to incur any fines, nor have to exclude anyone from Arlington. Thankyou again for your support & understanding.